After working and living on the beautiful island of Cyprus for 5 years I thought it would be appropriate to write a blog post on why it’s such a popular and interesting island for weddings and why it’s such a money saver compared with a typical wedding anywhere else!! Cyprus is one of the most popular holiday destinations for English couples to get married where you’re looking at over 5,000 plus British weddings a year and has been in the top 5 for many years and I believe it will be for many more years to come. So why is Cyprus such a popular destination? You can easily get married for less than €1000! An island of natural beauty with a combination of beautiful coastlines and mountain scenery. Those are just a few reasons why it’s so popular, this list can go on for a while! Cyprus is split into 4 different areas the West, East, South and North! The West covers one of the most popular areas of Cyprus which is Paphos and Coral Bay with a lot of established venues, suppliers and planners. It also covers the quaint/peaceful areas of Polis and Latchi that are perfect for that typical traditional Greek/Cypriot wedding and being a local fishing village you have the picturesque backdrop. Heading to the East you feel you’re on a different island all together with the finest beaches on the island. In Ayia Napa you have the crazy nightlife if you wish, or travel a small distance to the relaxed area of Protaras where you will find a more laid back approach. Don’t let Ayia Napa put you off though as it only covers a small square area!! You don’t want to miss out having your wedding on one those beautiful sandy beaches. The North and South are not as big on non-local weddings as West and East; but still have enough to make them popular decisions. Traveling to the North you will enter the Turkish side, so the laws and legalities are much different than the Greek side, but as it’s very new to travel you will find a very untouched/eerie feeling when traveling there. 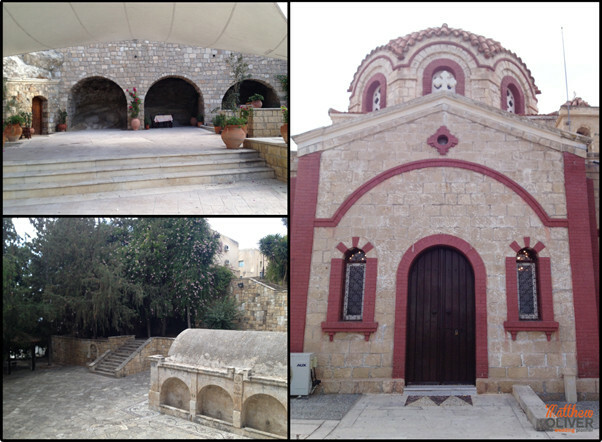 The North also holds the capital Nicosia – a traditional cosmopolitan city. The South again is completely different from the North having the biggest resort on the island – Limassol a small city with everything; the beach, nightlife and traditional monuments making it yet another contender for your perfect wedding. Like I mentioned above you can easily have a wedding from under €1,000 as the fees are only €382 for a civil service at a number of the town halls, a local photographer can produce an album of photographs for €300 and for a standard bouquet you’re looking at no more than €60!! However for those of you looking for a more luxurious/unique wedding on this beautiful island then you can go all out and spend around €30,000 and make it very similar to a UK wedding with flowers, photography, catering, cake, transport, venue hire, fireworks etc., etc. It all depends on what you’re looking for and what you want to create for your wedding, as like the UK there are a surprising number of choices (seems ironic as it’s a different country). Cyprus gives a great deal of choice on your ceremony and reception venues and they are opening new unique places to interest couples all the time. The choice is completely varied for all over the island; from traditional Cypriot/Greek monuments, rustic Churches, modern westernised Hotels, luxurious yachts to name but a few. 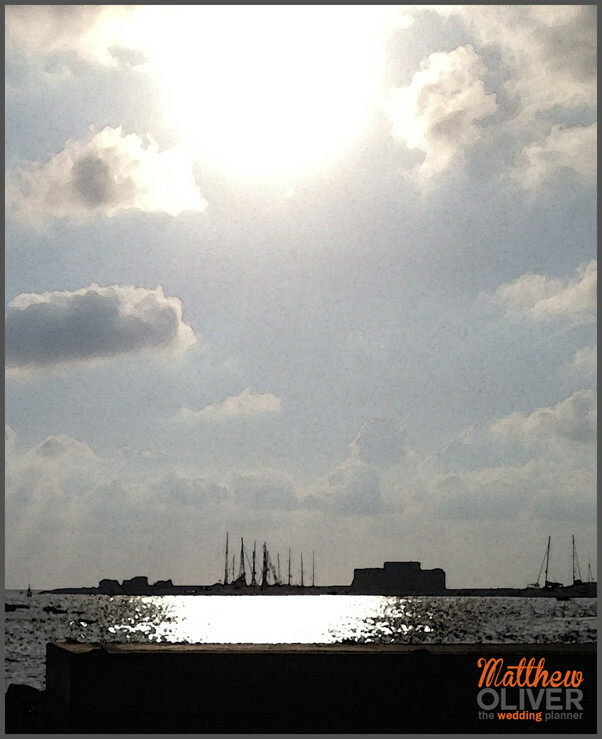 Each comes with great hospitality and service, the Greeks and Cypriots are very welcoming. However, there will not be a great deal of contact with the locals in terms of organising your wedding as your wedding planner will be your contact for around 95% of the time during the planning of your unique wedding in Cyprus. Yes a “WEDDING PLANNER! !” If you can imagine them to be the likes of J-LO and Fronc charging an arm and a leg for your wedding! You can rest assured that this is not the case. If you book your wedding through a tour operator one will be included with your booking. If you’re going with an independent wedding planner they use packages that can start from €250. 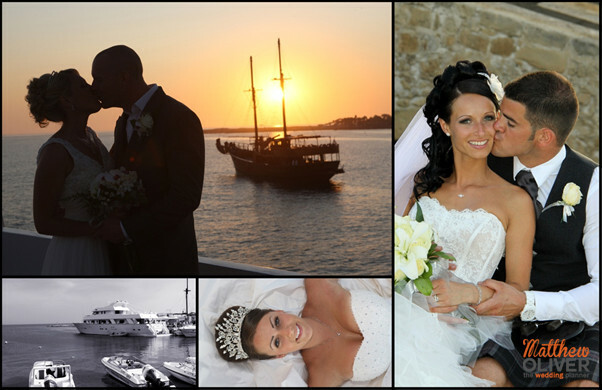 I plan weddings to Cyprus but my approach is fairly different from the rest and I, like the UK, create a service best suited to the couple from their ideas and dreams to determine the best service and percentage for the work. 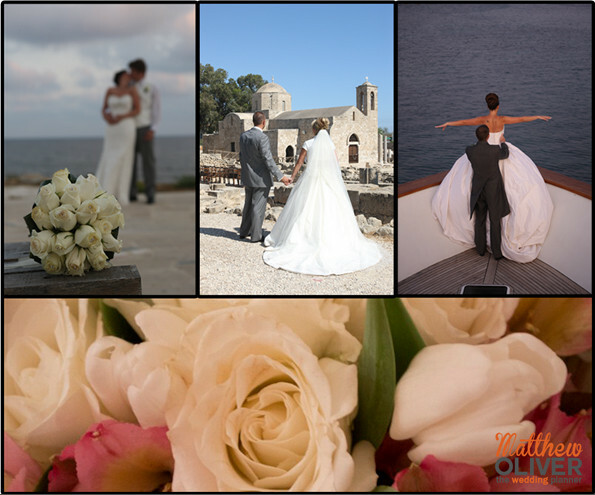 I have taken you round on a tour of the whole island of Cyprus to give you an understanding of what you can create and see that the island is extremely versatile for anything you’re looking for, thus making it an extremely popular destination for weddings and why I love Cyprus Weddings. To finish it off here is a little video on 5 Reasons why to get married in Cyprus.